St. Bonaventure prides itself on the core values of discovery, community, and individual worth. From your service, you’ve experienced personal and individual growth while being part of a larger community focused on specific values. With an online master’s degree from St. Bonaventure, such as an MBA, Cybersecurity or Strategic Leadership degree, an MSED in School Counseling or MSED in Clinical Mental Health Counseling, you can focus and hone the skills gained in the military with the experience and expertise that a master’s degree provides. Advantages of an online master’s degree program include taking courses one at a time, at your convenience on your schedule. 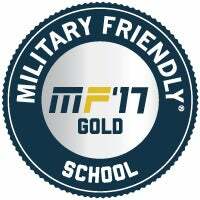 Whether you want to be a full-time student or continue your education as a working professional, St. Bonaventure’s online master's program allows you to continue your individual growth while providing an education from a military-friendly university ranked by U.S. News and World Report as a “Best College,” “Best Value School” a “Best College for Veterans.” In addition, SBU has earned Kiplinger’s Personal Finance distinction of “Top 300 Best College Values” and “Best 380 Colleges” by the Princeton Review. According to the Bureau of Labor Statistics, the average annual wage for full-time workers 25 and older who held a master’s degree was more than $60,000 annually compared to an average of $56,000 for workers whose highest level of education was a bachelor’s degree. GoGrad.org’s Ron Kness, a retired veteran with 36 years of military service highlights the advantages military members and veterans bring to the workplace including real-world experience and possession of the “hard and soft” skills employers look for including strong individual performance, accountability and understanding of teamwork-orientated dynamics. You’re probably asking yourself, “How can I afford an online program?” The good news is that if you are a veteran or a military dependent, you may qualify for educational benefits. Qualified applicants can be eligible under the the GI Bill for a master’s degree. In addition to the GI Bill, educational programs are available to individuals who have served in other military divisions including the Selected Reserve. Below are just a few of the programs available to military personnel and veterans. For more information on military aid for master’s degrees, call the Department of Veteran’s Affairs at 1-888-442-4551 or visit our financial aid page. SBU Online students do need to provide a VA Certificate of Eligibility and a DD214 for potential qualifications. Final award status will be discussed on a per student basis upon review. 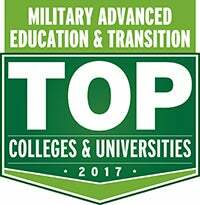 We also offer a 30% tuition discount for the Master of Strategic Leadership (MSL) program for active military. St. Bonaventure is a Yellow Ribbon program school. This means we work to help veterans or their children attend SBU free through GI Education Enhancement Programs. The Department of Veteran’s Affairs and the private college split the difference between the GI tuition benefit and private university tuition cost. In order to be eligible, the veteran must have served at least 36 months of duty since September 11, 2001 and have been honorably discharged. 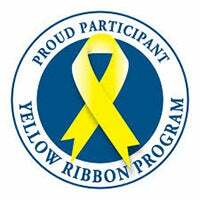 The Yellow Ribbon Program is also available to disabled veterans who were honorably discharged from active duty due to a service-related disability after having served at least 90 continuous days after September 11, 2001. An educational benefit program exists for veterans who served active duty on or after Sept. 10, 2001. 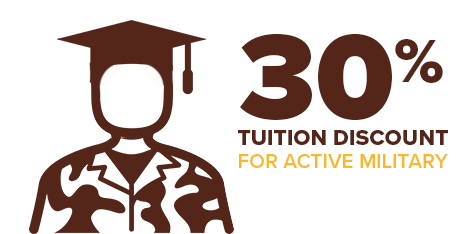 Provide up to 36 months of education benefits to eligible veterans. Benefits paid 10 years after release from active duty. Eligible dependents of veterans who are permanently and totally disabled due to a service-related condition or who died while on active duty as a result of a service-related condition may receive up to 45 months of education benefits. If you are a member of the Selected Reserve, you may be eligible. The Selected Reserve includes the Army Reserve, Navy Reserve, Air Force Reserve, Marine Corps Reserve and Coast Guard Reserve, and the Army National Guard and the Air National Guard. The Selected Reserve components determine eligibility. Eligible participants may receive 36 months of education benefits; entitlement ends 14 years from date of eligibility of the program or the day the participant leaves the Selected Reserve.